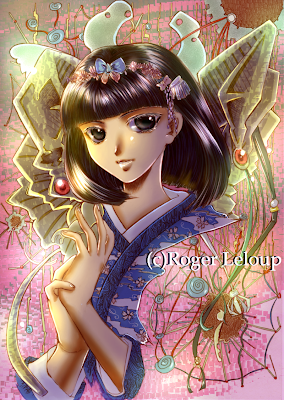 This work is the heroine of the long seller of the cartoonist Roger Leloup of Belgium. However, the text is French and there is no Japanese version. Although data were searched for on the Internet, I don't know the contents of the tale. This drew in my image. I'm sorry, if this picture is regarded as dissatisfied.